Participants are free to choose the season(s) that is most suitable. Each Participant shall be afforded the opportunity of observing and possibly participating in the festival events during the Festival seasons while the participants in the Harmattan season shall enjoy the unique Harmattan weather: sunny, dry with mild and cool trade wind blowing from the northwest of Africa. It is a pleasant season. During this year’s programme, emphasis shall be placed on the general Yoruba basic rhythms for all traditional Yoruba ensemble pieces. Also, another important element in Yoruba music which is the Drum Poetry shall be introduced with the hope that the students will be equipped with enough repertoire pieces during performances. The two most important Yoruba Music Traditions, i.e. Bata and Dundun shall be taught (Student to select one). The Drum-making workshop is optional and it is a separate programme but students are advised to register for it too as it is equally important to know how to repair or make ones own instrument. Students can hire or buy the musical	Instruments needed at the venue of the workshop. The total cost of a set of Dundun (consisting of 4 different membrane drums) is $500 (or Euro 450). It is not mandatory to buy the whole set, but it is advisable that the two most important of the instruments, i.e. Iyaalu which is the main Talking-Drum and Gudugudu, the most important accompanying rhythm instrument are bought. For students taking Bata drumming course, it is absolutely necessary to own a whole set of Bata (also consisting of four drums). The cost of the set is $500 ( or Euro 450). Every student is expected to be medically fit and to have valid yellow fever, cholera and anti-malaria vaccinations. Travel insurance is also recommended but not mandatory. An Artist-House located next to the venue of the workshop is a simple but decent house reserved for our visiting artist(e)s. Apart from normal conveniences, it has a kitchen with utensils for individual participants who may want to make tea or coffee. A house-keeper is readily available to the participants for assistance. Participants are free to make their own meals or when requested, a special arrangement could be made with the house-keeper, who is also the Centre’s chef. EGUNGUN FESTIVAL; An eventful 7-day festival of traditional music and dance of masquerades representing the spirits of the dead. It is the period of interaction between the living and the dead. Many colourful masqueraders parade the streets and offer prayers for the living. It is celebrated in early May. 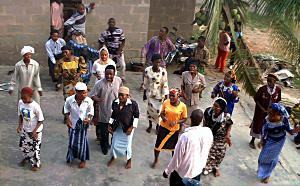 ORI OKE FESTIVAL: This festival which is celebrated in July is closely associated with the cult of Osun, the goddess of fertility. New yams are harvested during this period. 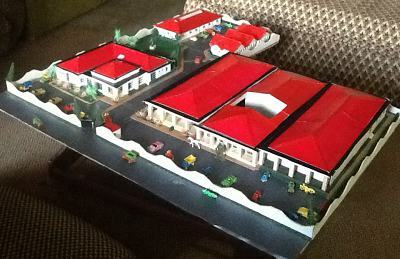 For more on the town of Iragbiji, click here. Note: An additional fee of $500 (or Euro 450) is charged for the Dundun and Bata drum-making workshop. A minimum of two weeks is needed for this course. Note:	This course can be taken alongside Dundun or Bata drumming for a token fee of $200 (or Euro 190). 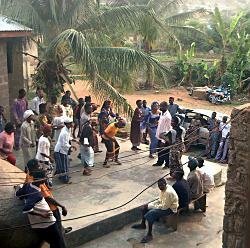 Yoruba Ritual and Ceremonial Dance Workshop is also being organized for the same seasons. For further enquiries please contact Chief Muraina Oyelami. Our newest project is the establishment of the ABENI-OKIN INSTITUTE OF VISUAL AND PERFORMING ARTS (ABIVPA) to provide a platform for the growth and further research on arts and culture. ABIVPA is poised to champion arts education and research to all cadres of people of different backgrounds and educational status ranging from the uneducated/illiterate to someone on doctoral and post-doctoral research relating to arts and culture. If you are interested in our programmes please contact us for further details.